This is probably one of my most successful Lo-Res-pictures. 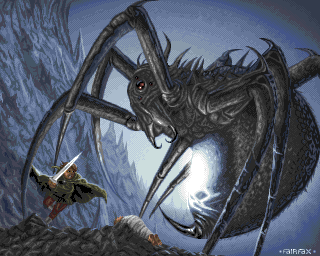 The motif is taken from a Tolkien art book and the original piece is painted by John Howe. The picture is about a year old and was once meant to be a contribution for the art gallery in the good old Stolen Data diskmagazine.